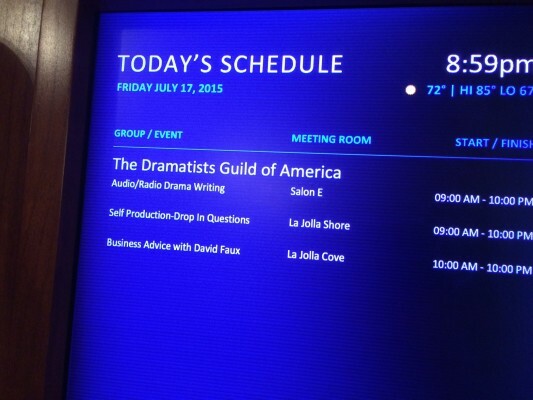 Radio writers and producers Matt and Sheila Cowley were invited to be part of a panel to talk about writing for audio, at the national conference of the Dramatists Guild in La Jolla, CA in July 2015. 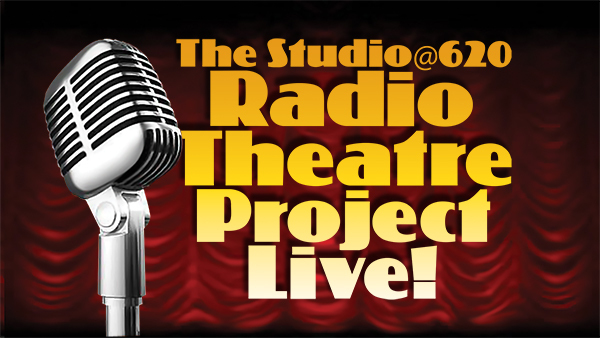 Along with representatives from LA Theatre Works and KSVR, they talked about the art of radio writing – working within the limitations of audio-only, which frees up stories to be completely intimate, or larger than any stage. An enthusiastic crowd watched a live performance of Matt’s short play, “Pendulum” – with live Foley effects including death by celery, featuring local actor and playwright Dewey Davis-Thompson. The talk was popular, with lots of questions and enthusiastic comments for days afterwards. The Dramatists Guild is the wonderful union for playwrights around the country, a vital and exciting group. We’re honored to be included, and here’s to some great new scripts finding their way to an RTP performance soon.